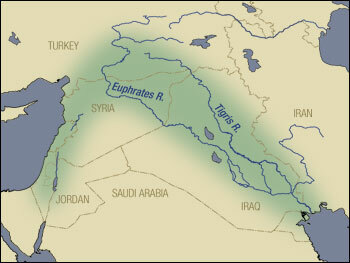 About 10,000 years ago, nomadic hunter-gatherers in the Fertile Crescent (in the modern Middle East) cultivated wheat and became the world's first farmers. They left their nomadic ways behind and settled down into villages, domesticating animals and other vegetables to go along with their grain. Food surpluses allowed the villagers to specialize, and soon their arts and technologies exploded, giving rise to the world's first civilizations. Although a few hunter-gatherer societies remain in remote areas, most humans have followed these peoples' lead and created their own agriculture-based societies. Those of us living in agricultural societies tend to take a manifest destiny approach to the history of farming and civilization, considering both to be part of an inevitable march forward toward better times. As Roland pointed out in a comment to a previous lunchtime series, agriculture is at the root of what has allowed us the spare time to develop ipods, refrigerators, and modern medicine. But a closer look at the dawn of agriculture shows that farming had at least as many detrimental effects as beneficial ones. Is there a seamy underbelly to the advent of farming? Can modern societies overcome the minefield left behind by early agriculture? This special two-week lunchtime series explores these intriguing questions. Quit your job and start to live with Microbusiness Independence. 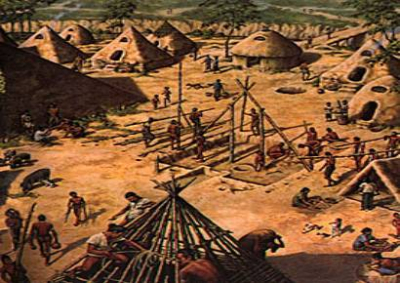 Neolithic Revolution: Where did agriculture come from? It has been amply demonstrated that humans by-and-large develop skills and technology (like agriculture) through trial and error. Only relatively recently (compared to the history of agriculture) techniques (like DOE, which you might find usefull in your experiments as well) have been developed to streamline this process. With the benefit of knowledge and hindsight it is probably now quite easy to point out now they did things wrong back in the day w.r.t. sustainability &c.
Since it was probably agriculture that made it possible to develop this knowledge in the first place, is it fair to criticize? It's at least part a can-with-a-can-opener-inside problem. You're totally right, if my series was going to look at the problems inherent in individual traditional agricultural techniques. But this series is instead looking at how agriculture as a whole influenced much broader issues of civilization. I suspect you'll still disagree, but that won't be your issue with what I say.